Service manual, part numbers, illustrations, and pictures for the Holley 4180C as used on the 1983, 1984, 1985, and 1986 Ford pickups with the 5.8L HO and 460 engines. 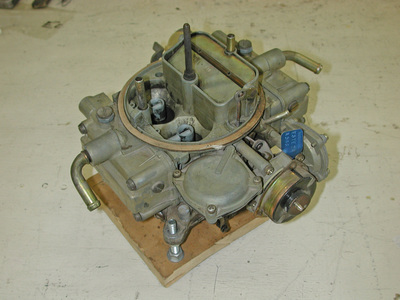 In 1983-86 Ford used the Holley 4180C 4bbl carb on the 351HO and the 460. The following illustrations and part #'s are from Ford's master parts catalog. However, the drawing on the Illustration tab may be a generic Holley rather than specifically of a 4180C since it doesn't show the bushing where the choke rod goes through the choke shaft's bell crank. On the other hand, there are very good and specific drawings in the service manuals. ​Also, there is more information regarding this carburetor's adjustments in the 1985-1986 Fuel System Adjustments booklet. How To Use This Document: To use this document you need a carburetor part number starting with "95.5". If you don't have that then go to the page entitled CALIBRATION INFO & PART #'S to get it for your truck. Let's assume that # is 95.5A. In that case your carb gets the parts called out with an "A" in column "A", below, and so on for B through M. But if it is 95.2N or after you'll have to scroll down and find the applicable page. 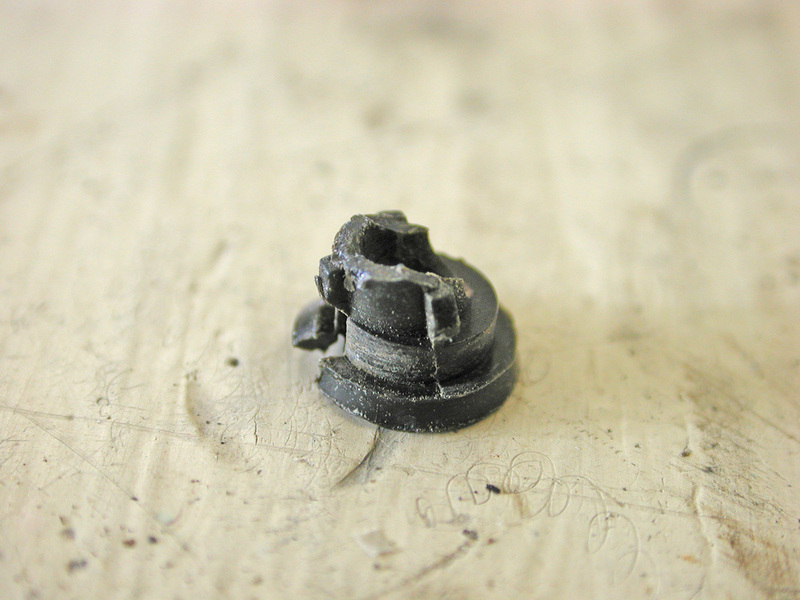 The accelerator pump cover is bad about warping, particularly the ones with the short screws and thin corners. It should be checked either on a flat surface or with a good straight edge. It can be flattened by placing it on a good sized vice with the jaws opened just enough to place the pump cover over the opening and using a decent sized hammer deflect the bottom of the cover enough to get it flat then file it the rest of the way. The metering body on the rear barrels can also warp, and needs to be checked for being warped also and can be straightened the same way. A tip to correct this permanently comes for a Chrysler Holley from the late 60s, early 70s. It involves reversing the sequence of the gaskets on the metering body separator plate. The normal assembly sequence is: Main body, thick (frequently cork) gasket, steel plate, thin rubberized gasket then the metering body. The revised sequence used a large steel plate and rubberized gasket, with the assembly sequence, main body, rubberized gasket, new separator plate, thick gasket and metering body. Holley power valves are known for failure, there are some modifications available, one of which is a ball check valve that is inserted in the throttle body to prevent a backfire from rupturing the diaphragm. Holley has discontinued the 2 stage power valve used in these carburetors, but Motorcraft ones may still be available and will fit. Float levels, quick setting when carburetor is apart, the float should be set with the bowl upside down the top of the float should be parallel to the roof of the float bowl. After the carburetor is assembled on the engine and running, remove the sight plugs in the sides of the float bowls, the correct wet float adjustment is just to the bottom of the sight plug hole. On the correct needle and seat assemblies, the screw on top is the lock, the 5/8” hex nut is used to raise or lower the float level. The secondary can be a pain as the fuel is not consumed fast enough to pull the level down after an adjustment. Important, do not use the reverse brass needle and seat, with the screw to adjust and a 9/16” nut to lock it. These can strip the bowl. 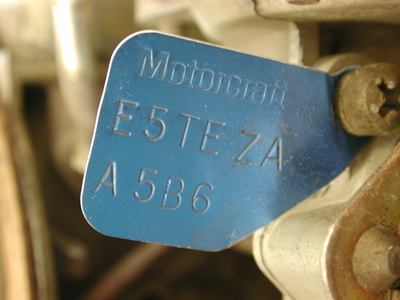 E5TE ZA A5BC Used on a 1985 5.8L HO. 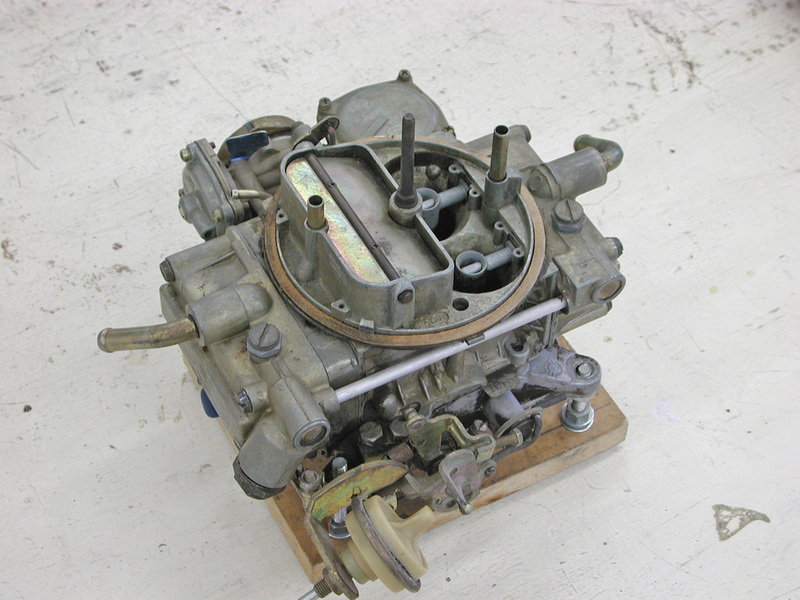 This is Ford's service manual on the Holley 4180C carburetor, and it includes system operation, adjustments, and overhaul procedures. This is Ford's training manual on the Holley 4160 & 4180C carburetors, and it includes system operation, adjustments, and overhaul procedures.